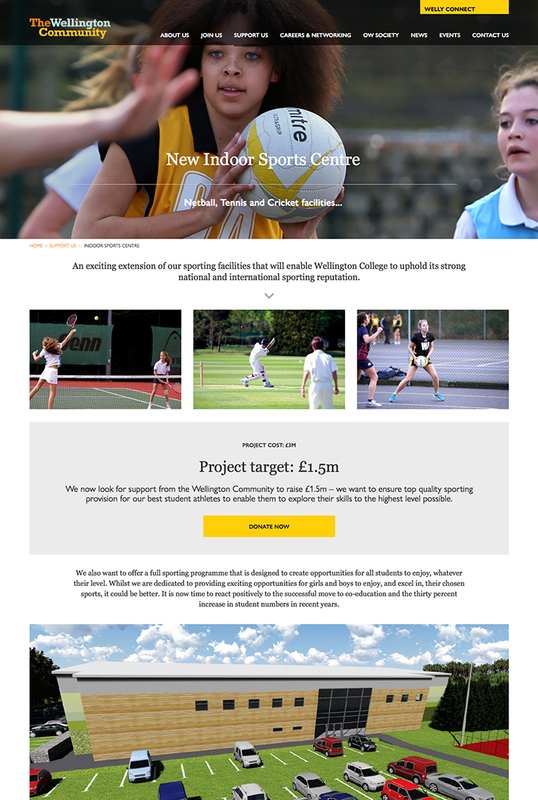 The ‘Inspire!’ campaign is the next stage in Wellington College’s ambitious development plan. 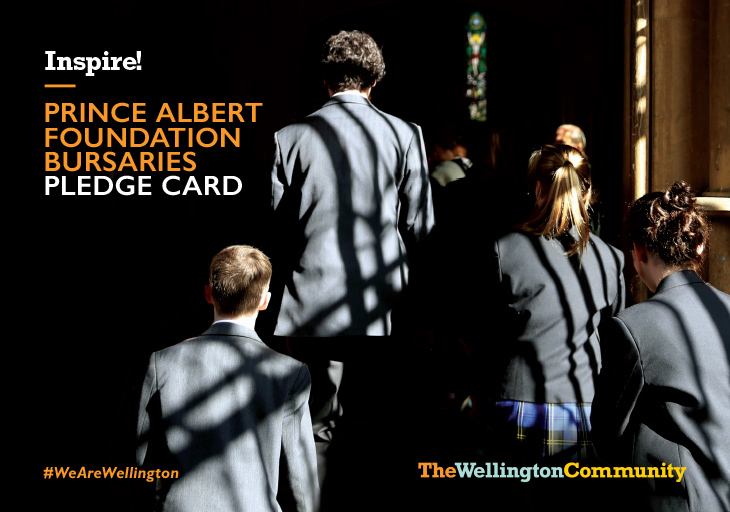 It focuses on three key areas and aims to: develop the campus and deliver a truly dynamic and world-leading educational environment; widen access through their Prince Albert Foundation bursaries; and provide an enriched curriculum and platform for all round educational success and set all students up for life beyond Wellington. 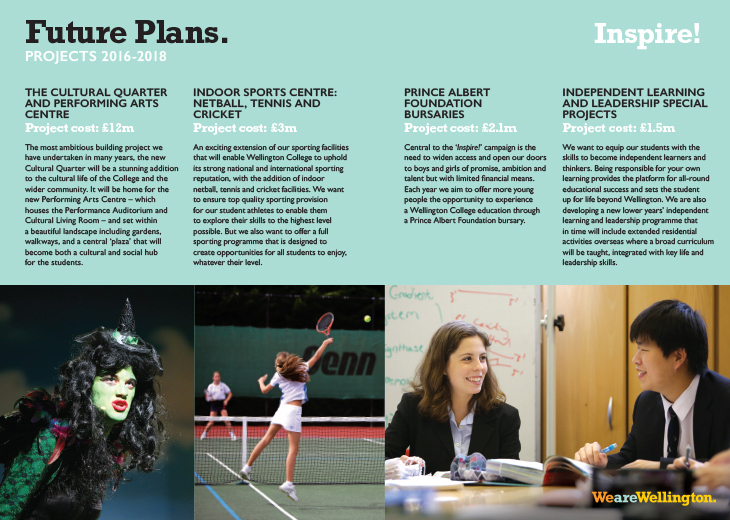 The campaign name is borne out of our work with the Master on his educational vision: the Wellington Identity – which sets out the framework on which the College can build an education to allow every one of their students to be inspired, intellectual, independent, individual and inclusive. 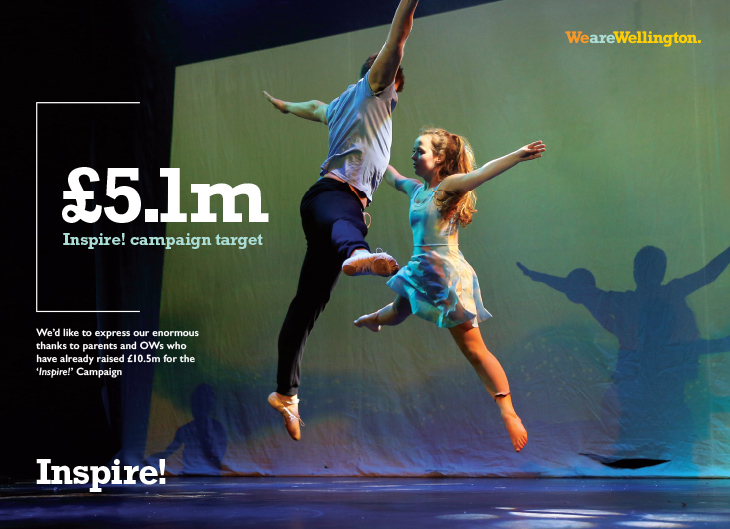 The visual language is based on the ‘I’ of Inspire and the five ‘I’ words of the Wellington Identity. 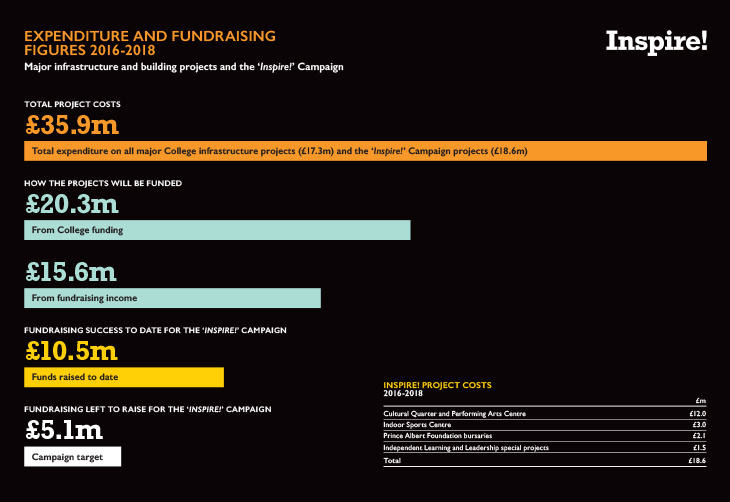 Whilst reflecting the branding of the College the campaign materials take on a distinctive and bold style of their own. 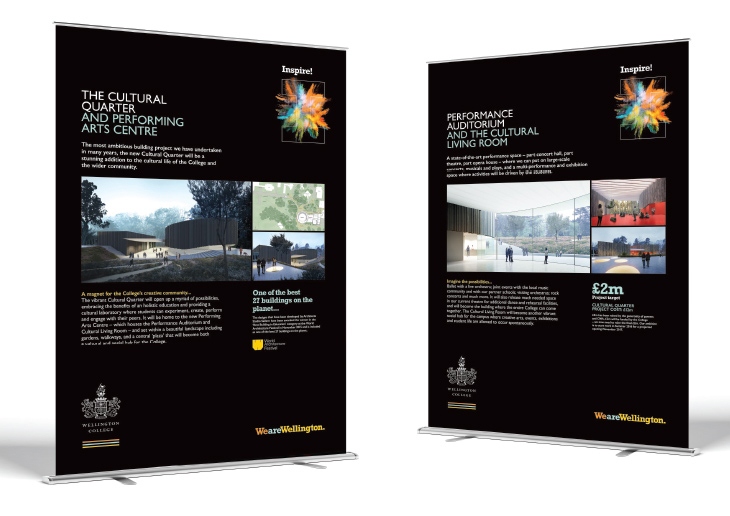 Launched with a bespoke mailing pack to an audience of over 10,000, the campaign has made a solid start and fundraising for the first project, the new Cultural Quarter and Performing Arts Centre, is almost complete.